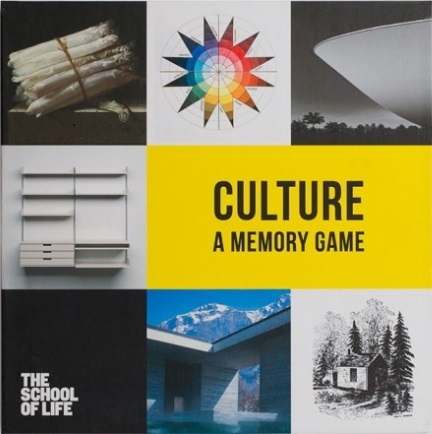 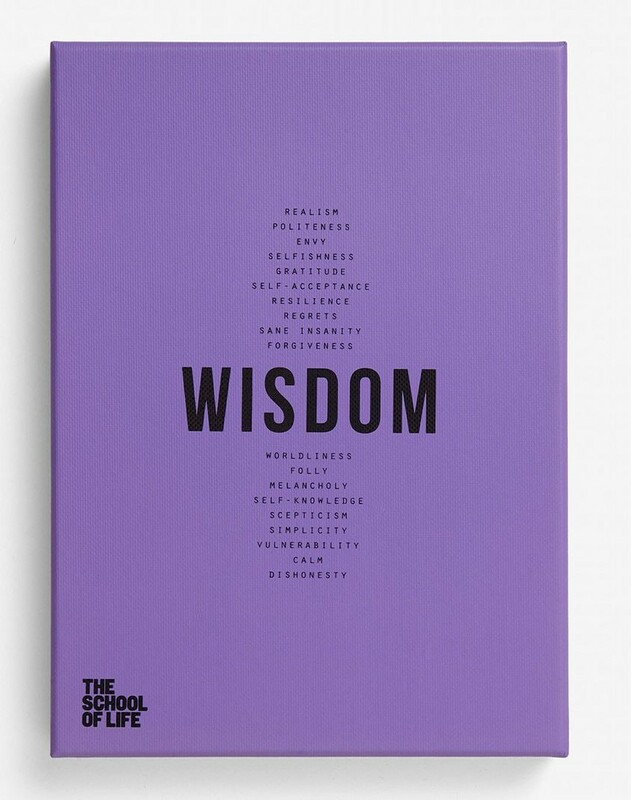 Founded in 2008, The School of Life runs a diverse range of programmes and services that address questions of personal fulfilment and how to lead a better life. 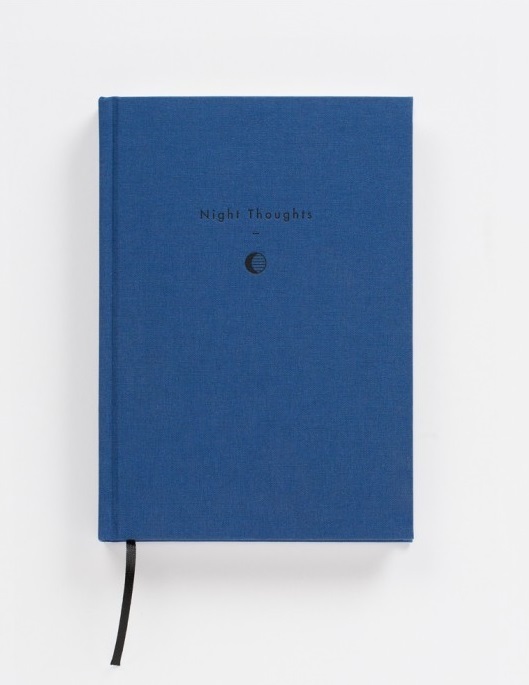 Drawing insights from philosophy, psychology, literature, the visual arts and sciences, The School of Life offers evening classes, weekends, conversation meals and other events - as well as a growing range of books and merchandise - that explore issues relating to big themes such as Love,Work, Play, Self, Family and Community. 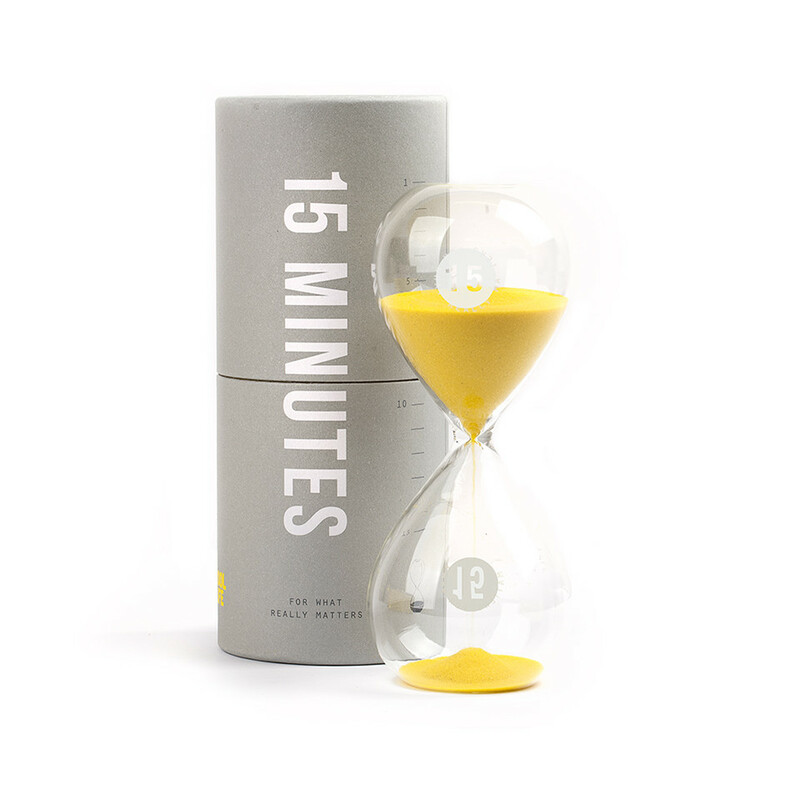 Making time for what really matters. 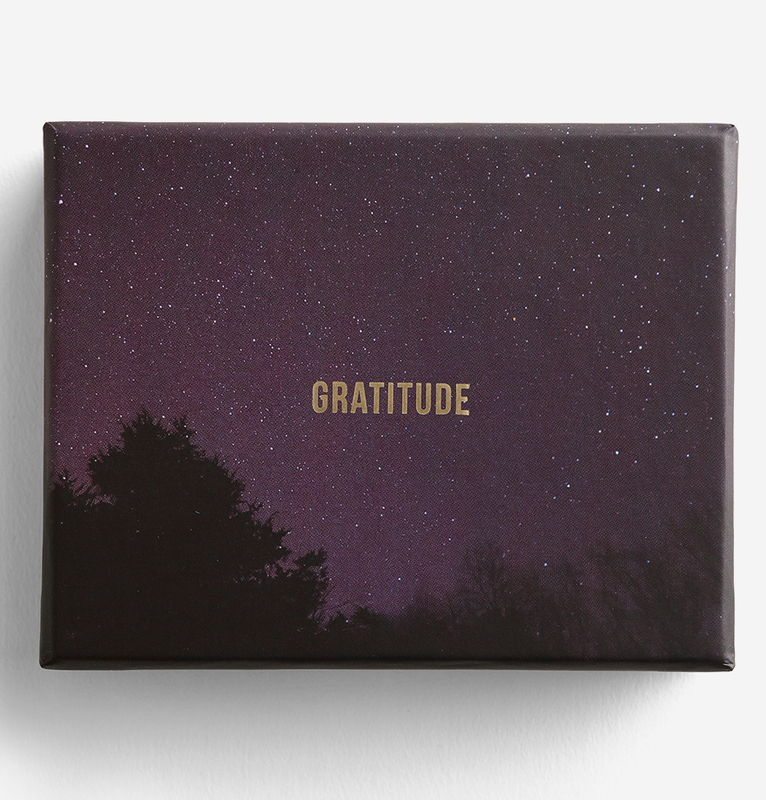 Our lives are so busy and frenetic; we are always forgetting to make time for what really matters. 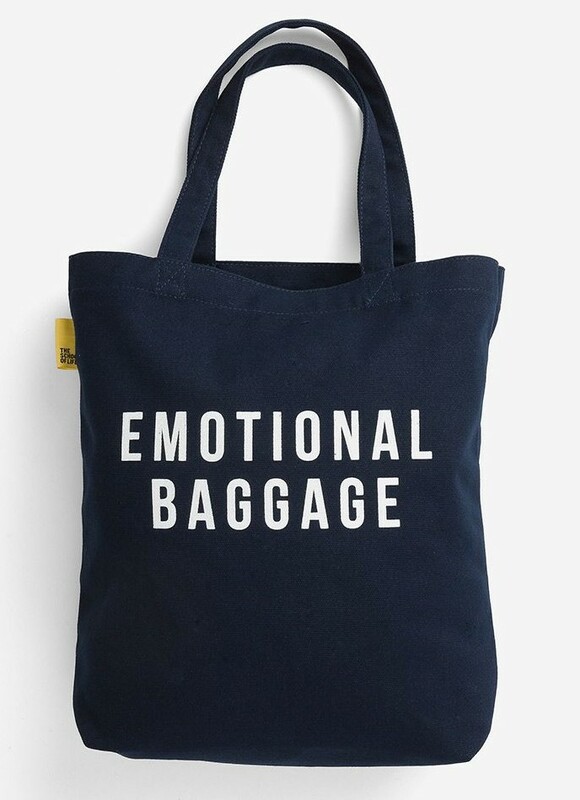 A high-quality navy canvas tote bag with internal pockets to keep your possessions organised. 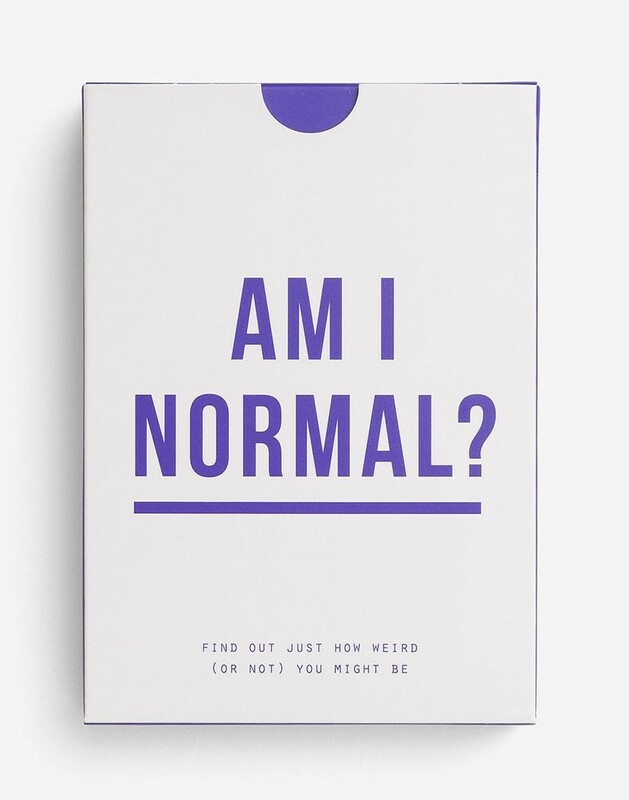 We are all privately haunted by a fear that we’re freakishly odd. 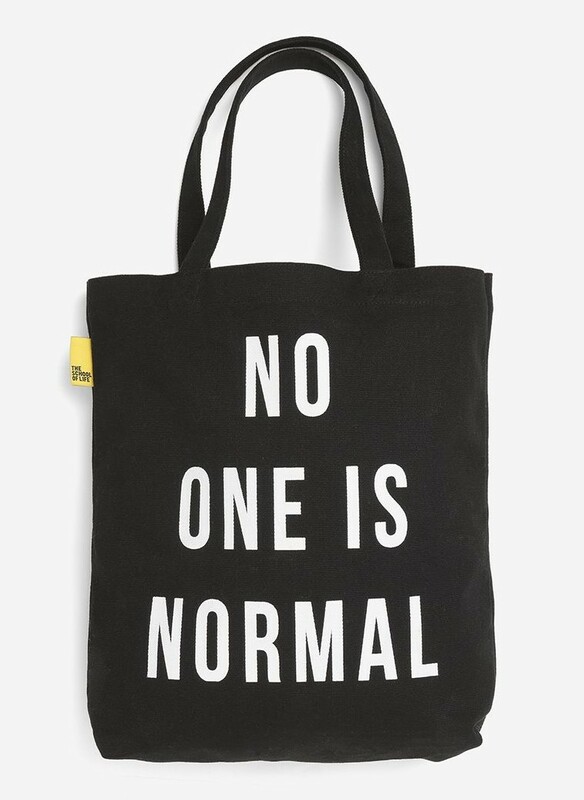 But in fact, as this bag celebrates, no one is ever quite normal. 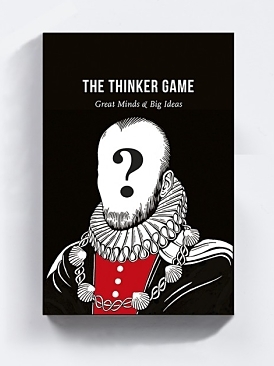 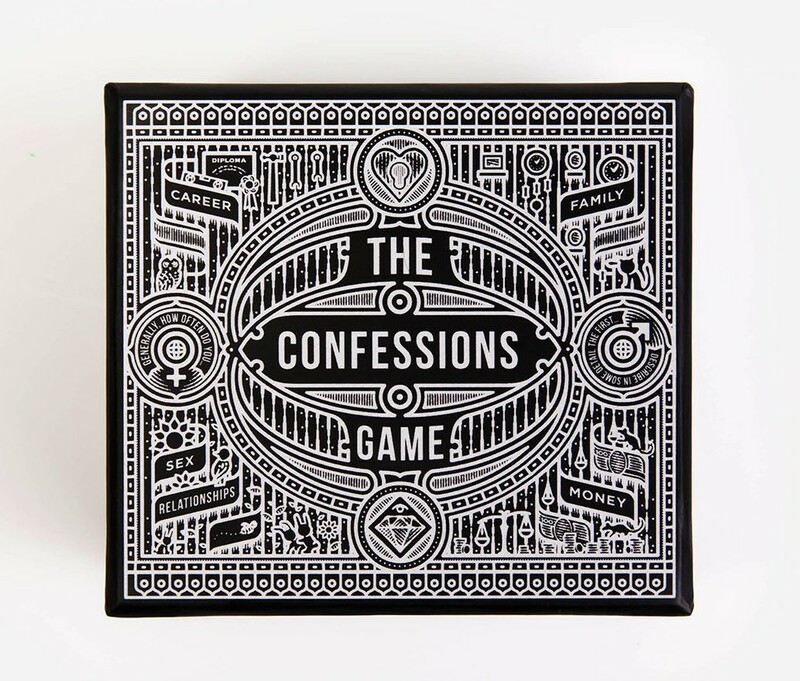 The Confessions Game is designed to get a group of friends into some of the very best sorts of conversations. 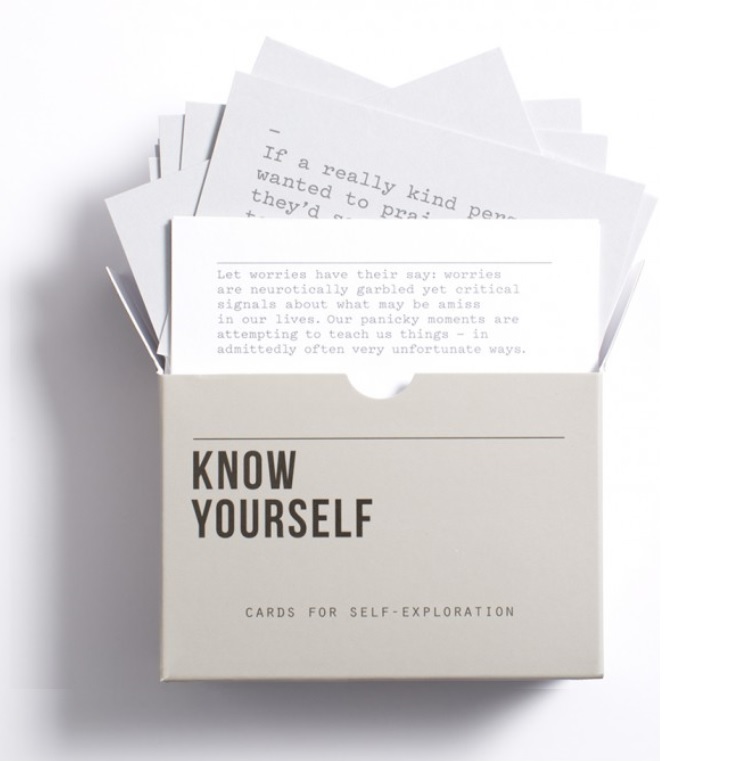 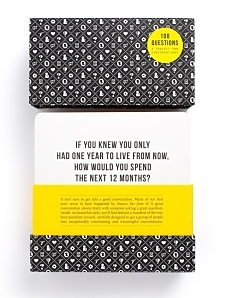 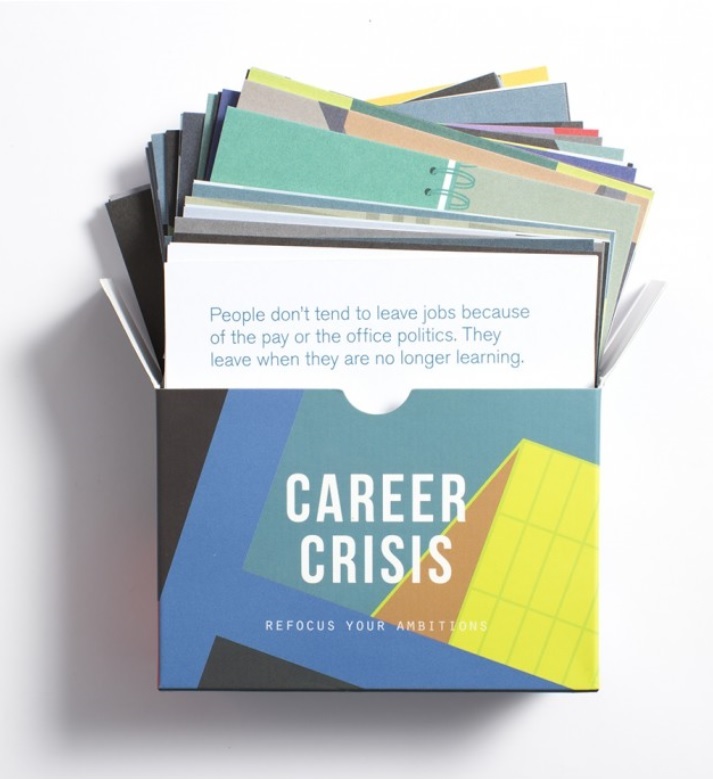 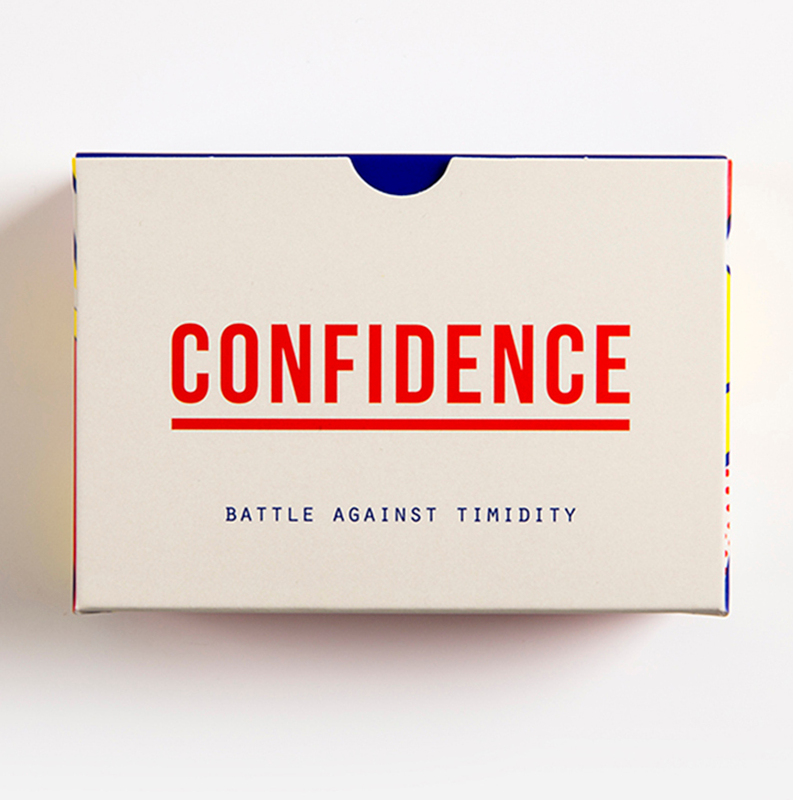 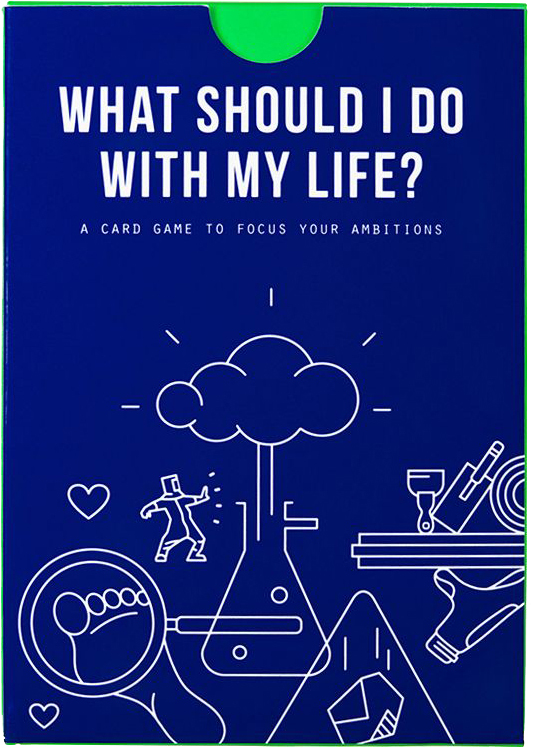 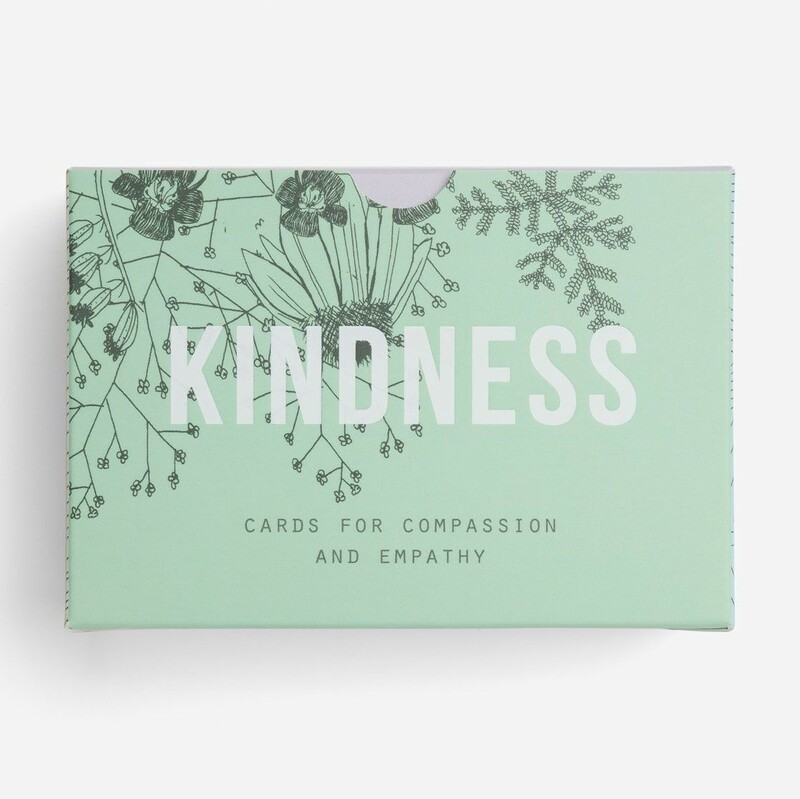 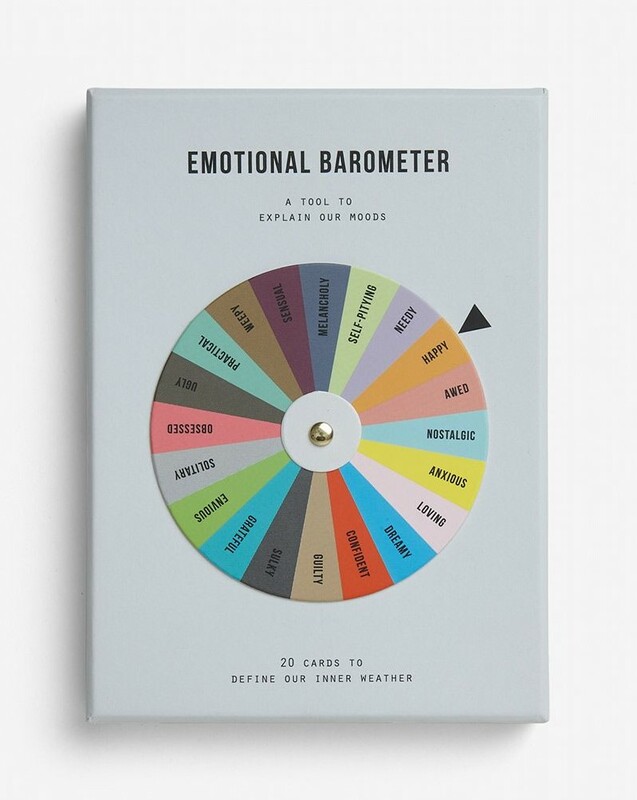 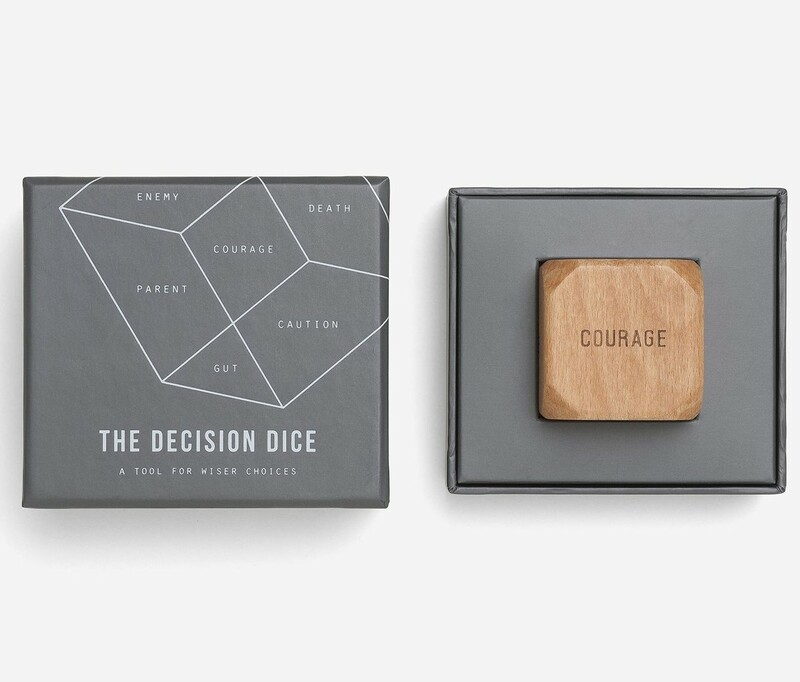 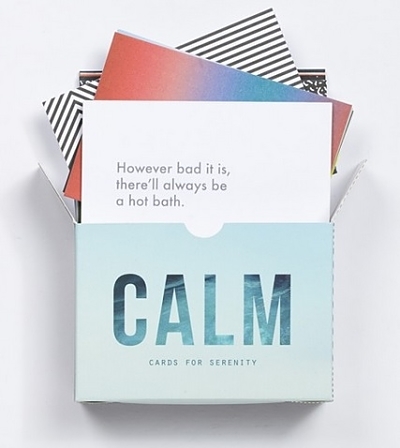 This small pack of prompt cards is made up of a succession of eloquent and beautiful reminders of just how we should approach our frustrations. 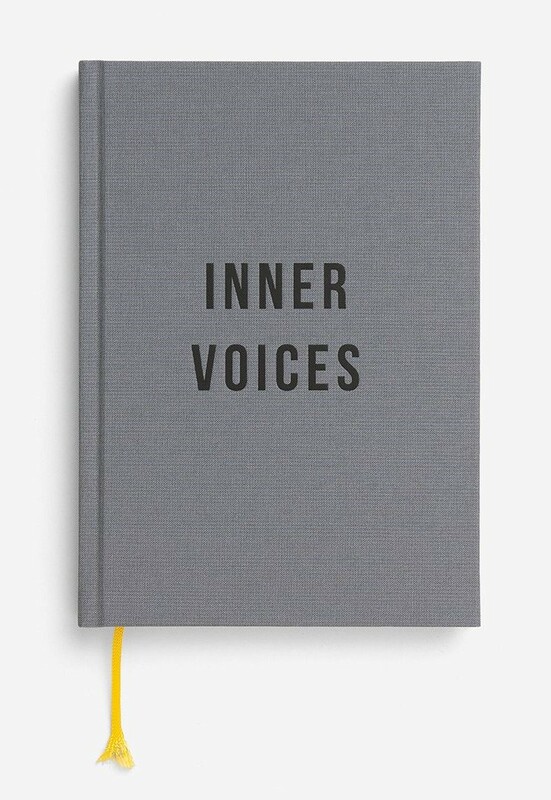 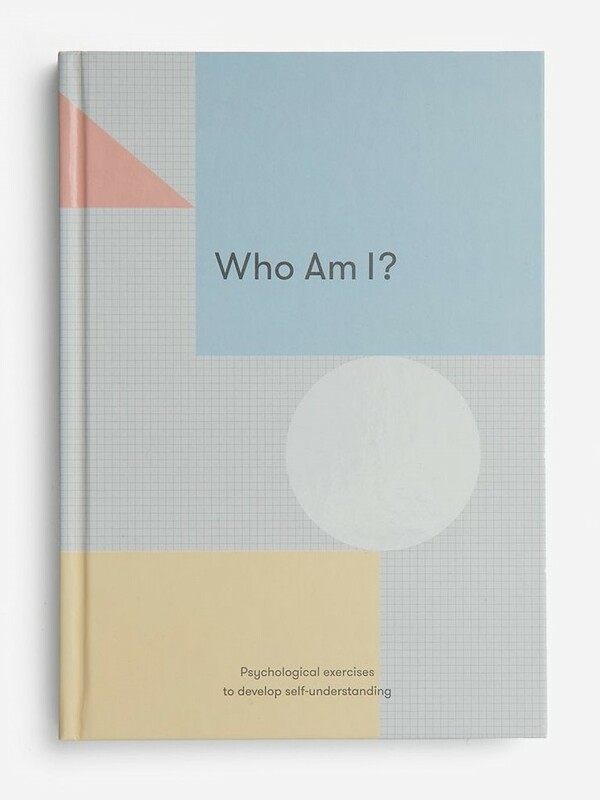 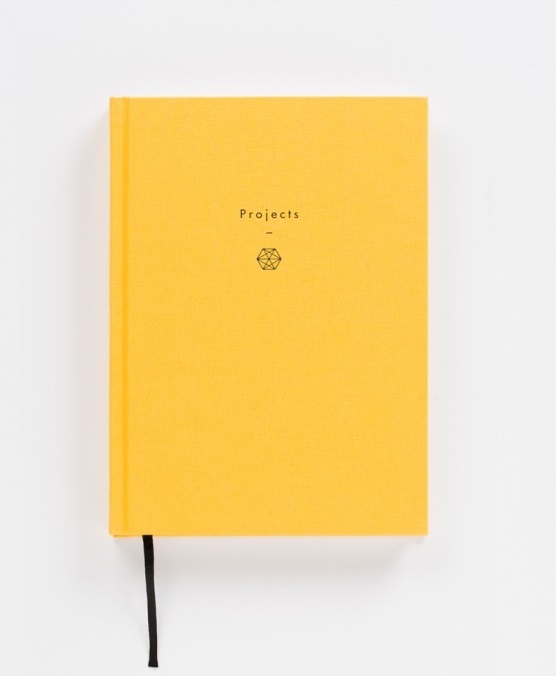 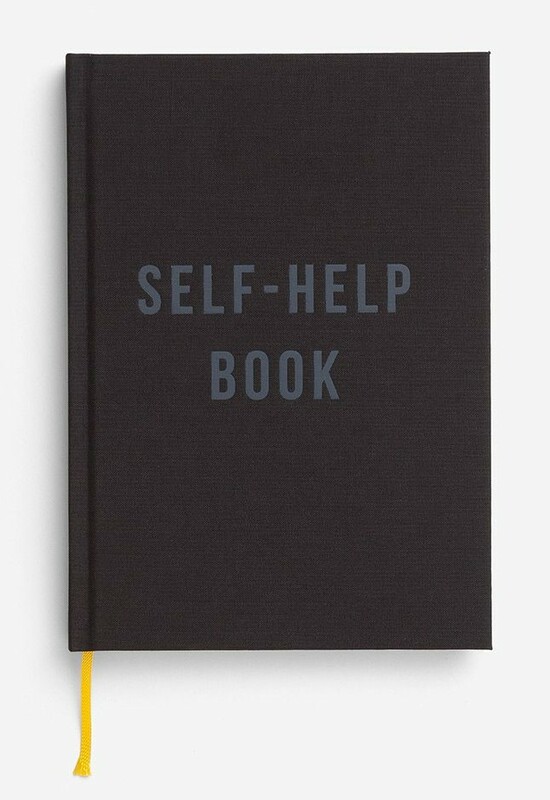 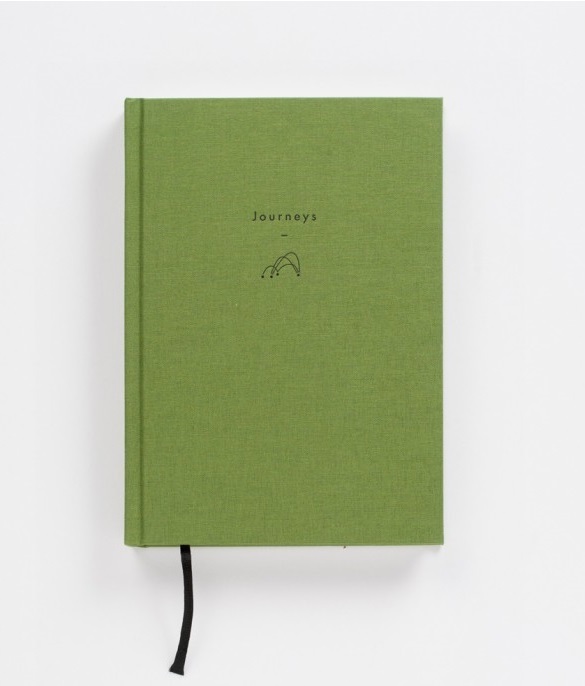 Aguided journal with psychological exercises to develop self-understanding. 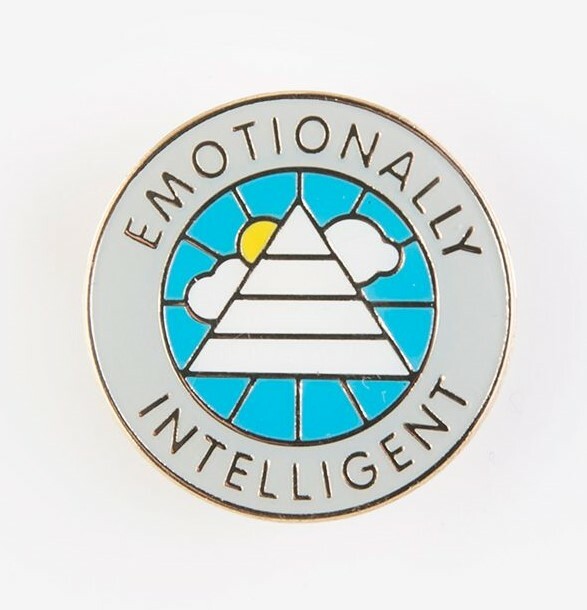 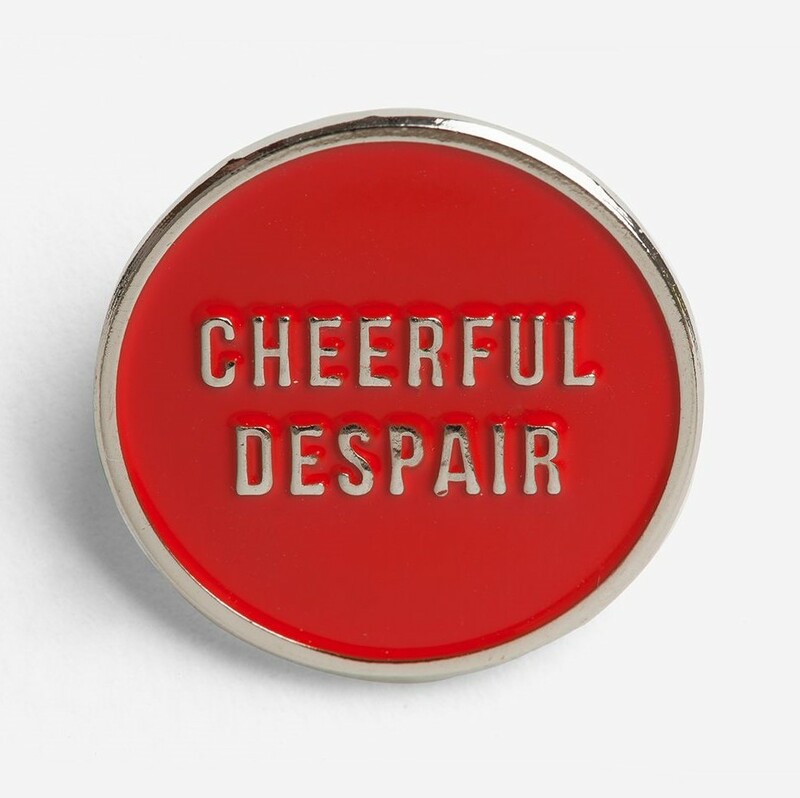 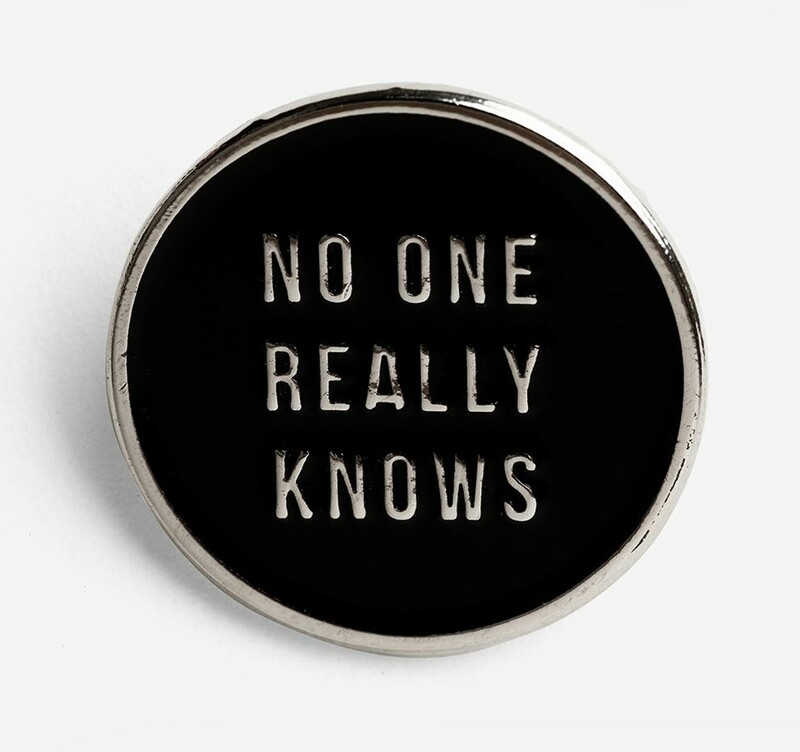 A badge of acclaim for those dedicated to increasing the amount of emotional intelligence in circulation.